Solar eclipses are rare and enchanting events that can catch us unprepared. For the most memorable solar eclipse experience, you have to be ready at the right time, and situated in the right place. It’s easy to end up standing outside in the cold for hours, holding your homemade pinhole projector in the wrong place, at the wrong time, thus missing out on one of nature’s most extraordinary events. But fear not - we’ve planned exciting and adventurous Solar Eclipse sailings to align perfectly with the Annular Solar Eclipse of 2017. While equally brilliant, not every eclipse is a total eclipse. There are significant differences between an Annular Solar Eclipse and a Total Eclipse. Although you could argue one type of eclipse provides a more breathtaking experience than the other, the experience is dependent on the viewer’s location and personal preference. Some believe the annular eclipse to be particularly mesmerizing because the moon is further from Earth and appears smaller. The ring of the sun around the moon becomes more visible, resulting in what is known as the “ring of fire”. During a Total Eclipse, only the sun’s corona is visible, which creates more light than an Annular Eclipse. To viewers, the primary difference between a Partial, Annular, and Total Eclipse, is the amount of light you can see. Regardless of the light visible, it is important to note that all eclipses can be harmful to your eyes and require protective eye gear. Although it takes careful planning to best experience an eclipse, many elements must fall exactly into place, with each piece of the puzzle fitting perfectly for the eclipse to even occur. An Annular Solar Eclipse can only appear when the moon is “new”, is at or near a lunar node, and the Earth, moon, and sun are precisely aligned in a straight line. Furthermore, it must be at its apogee, meaning that although its typical path around the Earth is elliptical, it must be at the side farthest from the Earth. It is because of these somewhat complicated pieces of the puzzle that we aren’t able to see an eclipse every time there is a new moon. There are also various stages of an Annular Solar Eclipse, from the partial eclipse beginning to the appearance of the “ring of fire”. Then, maximum eclipse occurs blocking the center of the sun’s disc, and finally, the stages of full and partial eclipse are completed, until the next year or years, the Annular Solar Eclipse occurs again. Since an Annular Solar Eclipse only occurs occasionally and can only be seen in very specific locations around the globe, it is especially important you are prepared and positioned in the “best seats” if you want to catch it. 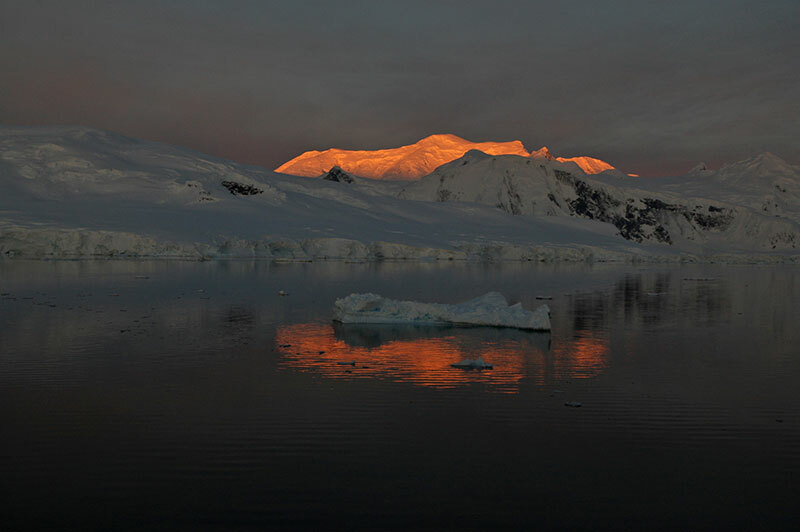 Not only is the February 2017 eclipse occurring during our February 20: Ocean Diamond expedition and our February 23 Ocean Endeavour Antarctic expeditions, but if conditions allow, it can be viewed over the entire peninsula of Antarctica. 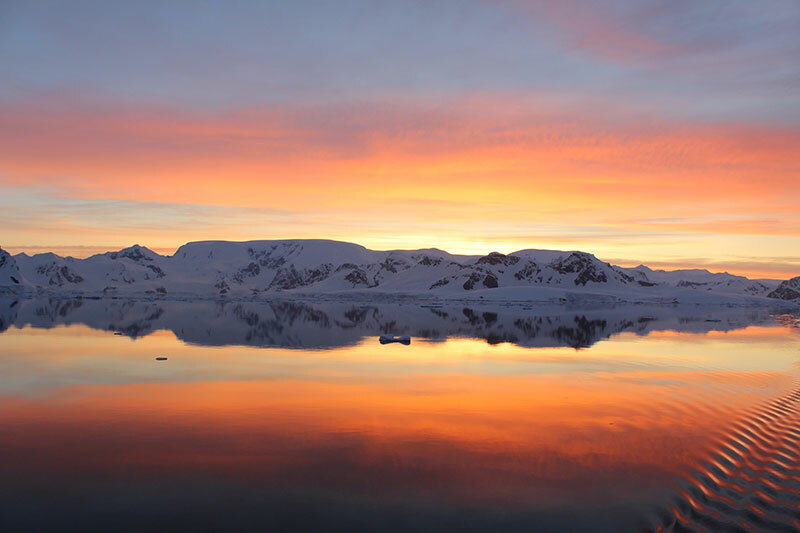 The Ocean Endeavour Antarctic Explorer expedition will also feature an expert lecturer focusing on the Annular Solar Eclipse. 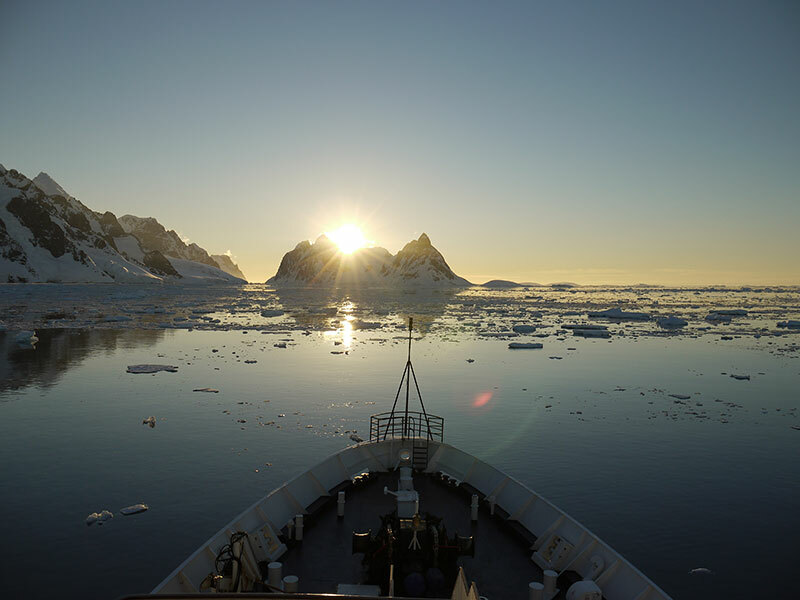 These Solar Eclipse Sailings provide not only the best seats on Earth for viewing the eclipse, but everything you, your friends, and your family members need for enjoying the Annular Solar Eclipse and making your Antarctic voyage even more memorable! Contact an experienced Polar Travel Adviser today to learn more about this fantastic opportunity for the best views of the Annular Solar Eclipse, in Antarctica!